Creating emails with rich text has always been a major need in Dynamics CRM, there are various resources and solutions available on the internet that aren’t supported to achieve rich text requirements in CRM. Although, the rich text editor and html emails capability has not been introduced yet in Dynamics 365, Microsoft will now offer many new email enhancements in the Customer Service Hub (previously known as Interactive Service Hub) in the July 2017 Update. Designer, HTML and Preview tabs will allow users to view and format the content across different form factors. Customer Service Hub will provide an option to show the HTML code behind formatting of emails when the user clicks on the HTML tab on the email activity. A bunch of controls and features provided like advanced styling, linking, find and replace, and insert images and tables will be made available on the email activity and will allow users to format the email instead of relying on external tools or solutions. 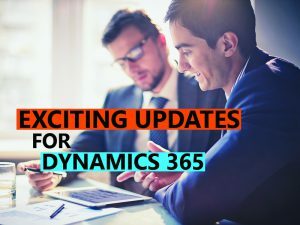 To learn more about Dynamics 365 July Updates, sign up for our Update Webinar Series – running now through August 22.